Simply put, no matter the size of your business our asset tracking system will improve your business’s bottom line by accurately logging and tracking your equipment and mobile assets, saving you time and money and allowing you to demonstrate the professionalism of your processes and systems. The asset management system does give you full visibility into where every item in your inventory is through a powerful cloud-based equipment tracking software that turns everyone’s smartphone or tablet into a crowd-sourcing information collection device. Our equipment tracking software offers an easy, one scan and check-out and check-in process that improves efficiency, security, accuracy and dramatically reduces errors. 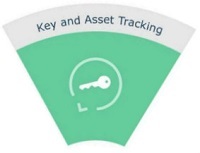 To get a better understanding of the asset tracking software, we can set up a FREE online demo or even a FREE one month trial. Get in touch here and we set it up for you in no time. Review, check in or check out physical assets more easily with a quick scan of each item’s NFC tag; whether you are at work or on the road you can track your assets with ease. Eliminate paper without losing control over your inventory. By enabling the phone’s GPS location, you know where everything is in real time. An asset tracking system is a low-cost solution to manage portable equipment on job site or in the organization which eliminates the need for inaccurate manual logs. All your tools will be equipped with high quality HID Global’s NFC tags; when a tool is taken the tag is scanned with a smartphone or a tablet to launch the checkout interface and information about who took the key and when it is due back is recorded. When the key is returned, it is tapped again on the tablet to check it back into the system. Automatic reminders are issued to follow up on keys which are overdue for return. You do not need a separate app or website to manage and maintain to track your business’s assets, some unique NFC tags and we handle the rest for you with our cloud-based and secure equipment tracking software. Our key tracking system works the same way. Your team does not need to manually log anything, you can check-in and check-out every equipment in seconds and receive 24/7 insights on the tools, our asset management system does all the job for you. Easily download the logs on each equipment and track where it was every day, who had it and the current state. Hand tools, safety equipment, large scale equipment, rental equipment, service maintenance schedules can all be tracked to ensure the smooth operation of your business. You can use our key tracking system to help you track your keys too. Track your equipment and assets efficiently in real time.